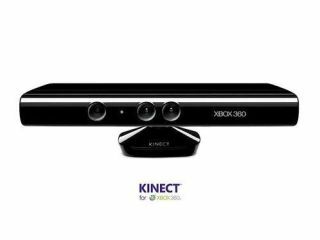 Microsoft has responded to the myriad reports that Kinect has been 'hacked' by saying that it always wanted its motion controller to be open. According to a transcripted interview with Microsoft program manager Alex Kipman, Kinect hasn't been hacked at all, merely played around with. "Hacking would mean that someone got to our algorithms, that sits inside of the Xbox, and was able to actually use them, which hasn't happened," said Kipman on NPR's Science Friday. "Or it means that you put a device between the sensor and the Xbox for means of cheating, which also has not happened. "That's what we call hacking, and that's why we've put a ton of effort to make sure it doesn't actually occur." What is occurring is that the open source community have found a workaround. "What has happened is someone wrote an open source driver for PCs that essentially opens the USB connection, which we didn't protect by design, and reads the inputs from the sensor," explained Kipman. "The sensor, again as I talked earlier, has eyes and ears, and that's a whole bunch of noise that someone needs to take and turn into signal." While this sounds like a case of semantics, it does mean that no one is to get into trouble for meddling with their Kinect controller. So, if you have the brains, then you can also make your very own lightsaber version of Kinect with a broomstick – just like Yan Keyan on YouTube.